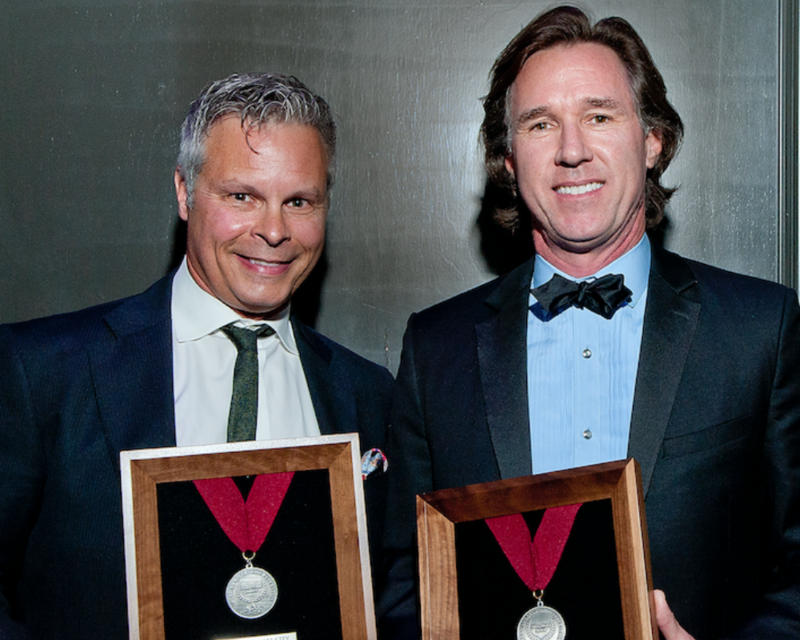 OKLAHOMA CITY (February 21, 2017) – The Silver Medal Award at the 51st Annual Oklahoma City American Advertising Awards (Addys) went to VI Marketing and Branding's Tim Berney and Steve Sturges for "outstanding contributions to advertising and to furthering the industry's standards, creative excellence and responsibility in areas of social concern." For most of the past three decades, the duo has done just that. Berney, the company's founder and president, launched Visual Image as a one-man media-buying shop in 1989. He was soon joined by Sturges as partner and executive creative director, and in 1992 Visual Image became a successful and growing ad agency. The pair rebranded as a fully integrated marketing firm, becoming VI Marketing and Branding in 2010, which is among the region's best with multiple offices and 70 employees and counting. Among the firm's most notable accomplishments are an international Jay Chiat Award (2011), an international Communications Arts Award of Excellence (2015), and a National Addy Award (2015). The pair have built and run VI on the very principles the Silver Medal Award recognize: industry-leading standards and practices, strategic and creative thinking from all disciplines within the firm, and community engagement and social responsibility, both individually and collectively for all of VI. Stronger than ever in its 28th year, VI's Berney and Sturges have done it right. The Oklahoma City Addys have now made it official. About VI Marketing and Branding: VI Marketing and Branding is a full-service marketing communications firm with expertise in developing marketing programs, strategic planning, branding, public relations, social media and digital media, in addition to the traditional creative and media services of advertising agencies. The 28-year old firm is headquartered in Oklahoma City.